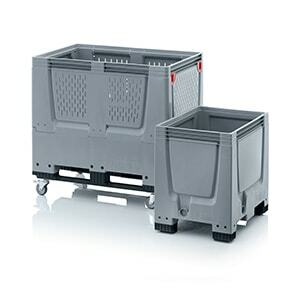 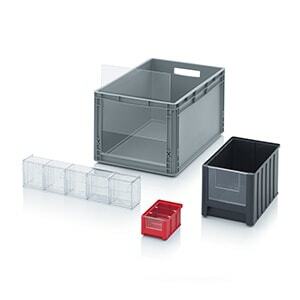 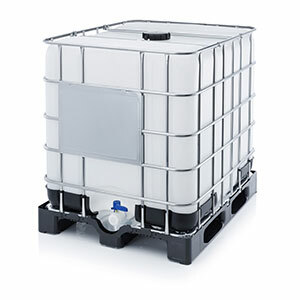 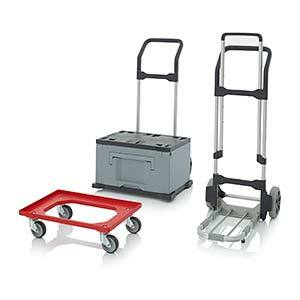 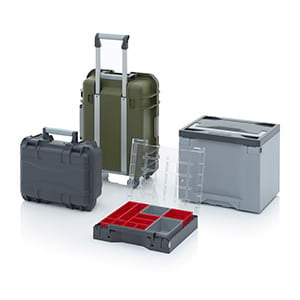 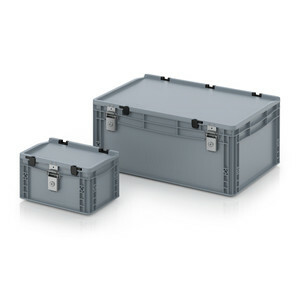 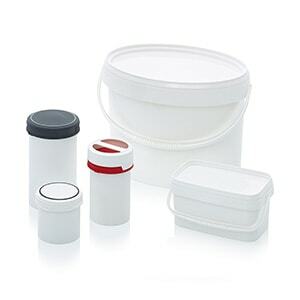 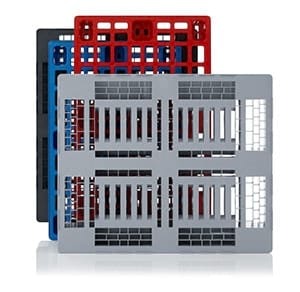 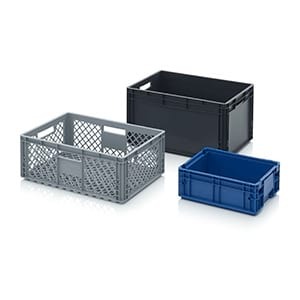 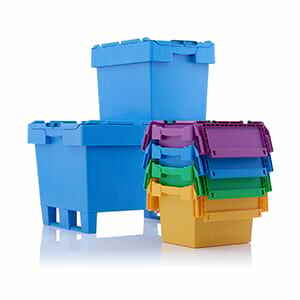 The outstanding feature of AUER Packaging's SK ESD storage box with open front is maximum flexibility and functionality. 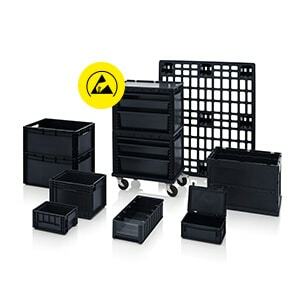 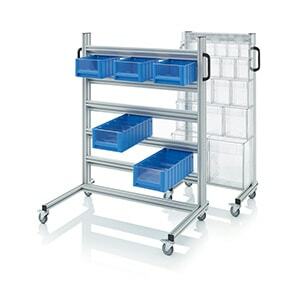 It can be subdivided using various inserts, and it can be provided with viewing panels as well as a dust lid. 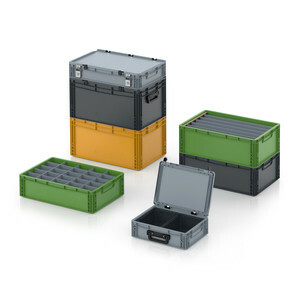 As an electrically conductive storage box with open front, the container is optimised for the storage of electronic components.